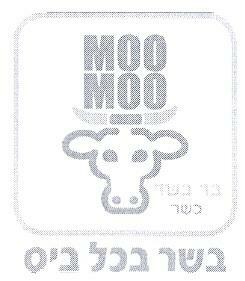 Israel trademark number 248728 for MOO, MOO בשר בכל ביס was filed on 7 August 2012. The Applicant is The mark is M.M. MEAT IN EVERY BITE Ltd. and the mark is for Meat, fish, poultry and game; meat extracts; preserved, frozen,dried and cooked fruits and vegetables; jellies, jams, compotes; eggs, milk and milk products; edible oils and fats in class 29 and for Services for providing food and drink; temporary accommodation in class 43. 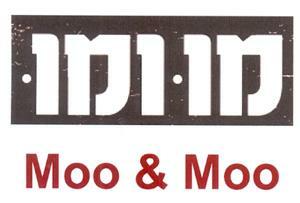 Israel trademark number 251439 for Moo & Moo in Hebrew and English was filed on 27 November 2012 by Moo & Moo Meat (1984) Ltd. The mark is for Meat, fish, poultry; meat extracts; steaks; meat products, all included in class 29 and for Services for providing food and drink, meat restaurant; all included in class 43. The Examiner considered the co-pending marks competing, and an interference proceeding was initiated. Moo & Moo Meat (1984) Ltd. submitted their evidence, but M.M. MEAT IN EVERY BITE Ltd. did not. Ms Jaqueline Bracha has therefore ordered Moo & Moo Meat (1984) Ltd. to send their evidence to M.M. MEAT IN EVERY BITE Ltd. and has reserved the 19th November 2013 for a hearing. Moo Moo Mooo Moo and Moo.